New for 2015 we have partnered with Interlink Express. 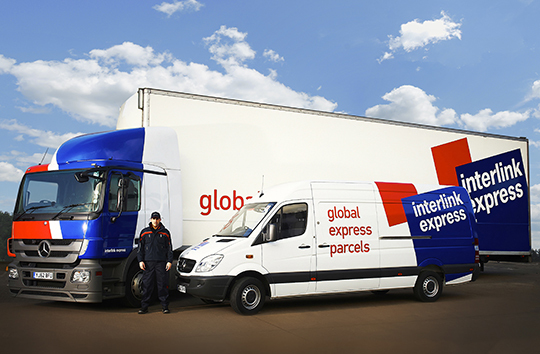 Interlink Express is one of the UK’s leading time critical services carriers with its own European network. This means not only can our customers have UK delivery at a better price than in previous years, the Predict tracking service it offers is also the industry leader. Predict is a predicted one-hour delivery window, which offers you the ability to track your goods on a real-time map. You will be able to choose several delivery options for your convenience. These options are available both the night before and on the day of delivery. You find out more about Predict here. In order to for our customers to use this service it is vital that we have your email address and mobile number at the checkout. Your details will never be passed on to any third party. Interlink’s European network means our customers can also have delivery to Europe at a much better price than previously. Up to 3 wreaths within near-European countries will now cost less than £18. You can read more about Interlink Express here. Interlink’s Follow My Parcel also enables you to watch the progress of your delivery on a real-time map, with a 15 minute time slot also provided.